Our summer program was a huge success and through our summer report you will soon be updated with all the amazing highlights of our 2016 Summer Program. Our central themes were resiliency, strength & passion. 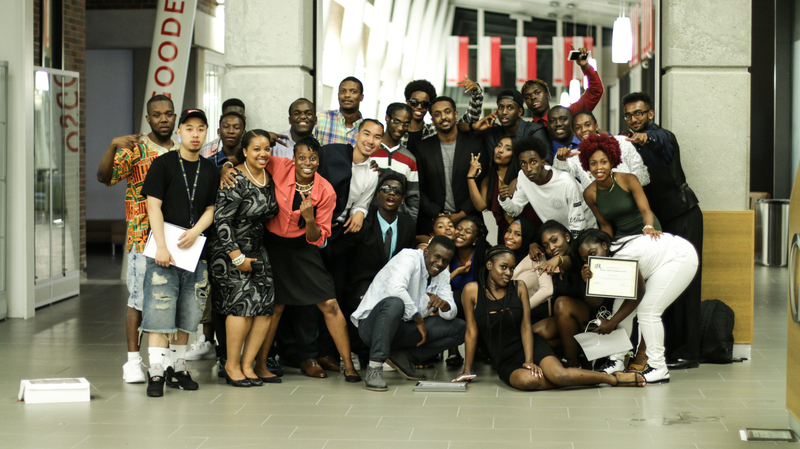 Our graduation embodied the recurring theme throughout the summer: Resilience. Youth, staff, teachers, and everyone involved in the success of the program have been resilient in ensuring a positive experience for all. Our graduation held in the Moot Court room at Osgoode Hall Law School was packed full with parents, friends, and various other stakeholders in our community. The night was also filled with performances and celebrations of our achievements, which included the credits that students receive at the end of our program. A Video recap is available and can be seen on our YouTube Channel. Career Day is always an important part of our Summer Program and this year was no different! Our 2016 Summer Program was diverse and filled with career panelists from a wide variety of backgrounds – some of which included: journalism, photography, hair styling, real estate, education, aviation, nursing and business. In addition, for the first time ever we had a keynote speaker, Mike George shared his experiences as an agent with Excel Sports Management! Our panelists shared their stories, life experiences, wisdom and unique pathways to success with our mentees, volunteers and mentors and for that we are truly grateful. In the classrooms, SBL youth got the opportunity to connect with the panelists on a more intimate and personal level by asking them questions about the highs and lows they had to encounter on their journeys to success. 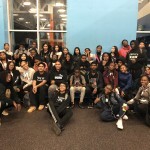 At the end of the experience, the youth were able to learn more about possible career choices and received more information about what steps are needed in high school and in post-secondary to achieve their career goals. 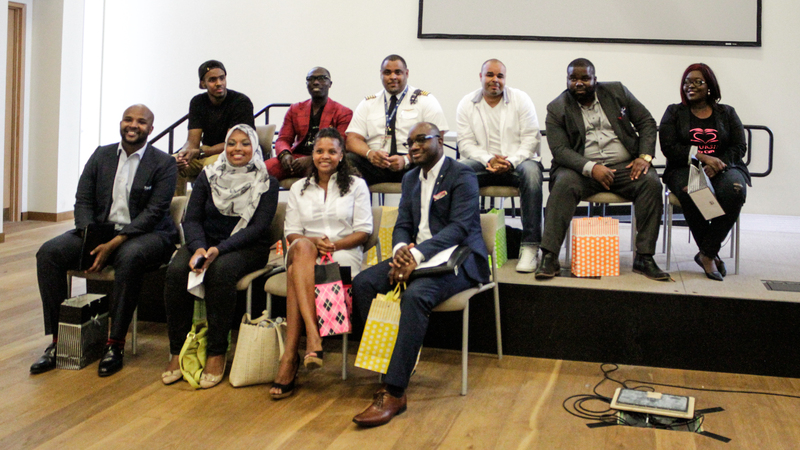 We would like to give a very special thank you to the following speakers: Ginella Massa, Yasim Osman, Ellis Tango, Charles Ayodele, Jamie Sutherland, Jeffrey Roberts, Liban Abkor, Michelle Smith, Tasha Chin and Mike George for their time and the wisdom that was shared to the SBL youth. 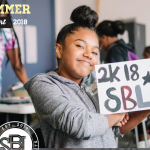 An annual tradition of our SBL summer program is having a Parent Night, of which we had over 50 parents and their families attending on July 14 2016! Parent night is a great way for SBL staff, SBL mentors, and teachers to connect with parents about their child’s progress in the summer program. In addition, parents are divided into groups and are able to go to different stations to learn more about community perspectives, how to support students with Individualized Education Plans (I.E.P.S), parent engagement, course selection and streaming/destreaming. Parents also get to learn more about the academic and social supports that SBL provides during the school day and the SBL after-school program at Westview! After the parent night presentations were finished and conversations were had, many parents still wanted to connect with SBL staff to ensure that their child is still connected with the program even if they are not attending Westview C.S.S.! We look forward to summer for its sun filled days, but most of all the smiling new faces that fill the halls of Osgoode Hall Law School. On the first day the afternoon was planned by mentor alumni and recreational staff Winston Luc. 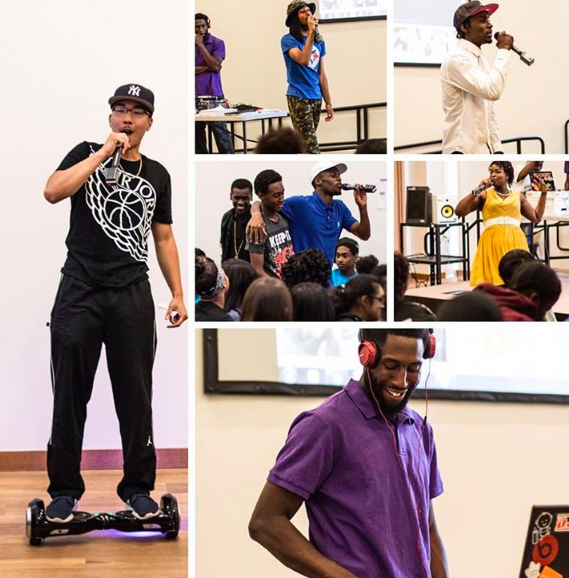 It was packed with performances ranging from Spoken Word, Dance, a Live DJ showcasing artists from across the city. There were also impromptu performances by mentees and mentors. We want to send a big shoutout to Winston for MCing and sharing some incredibly personal and inspirational stories with our young people. One of the external factors that affect youth in Jane and Finch is having access to consistent and quality employment. 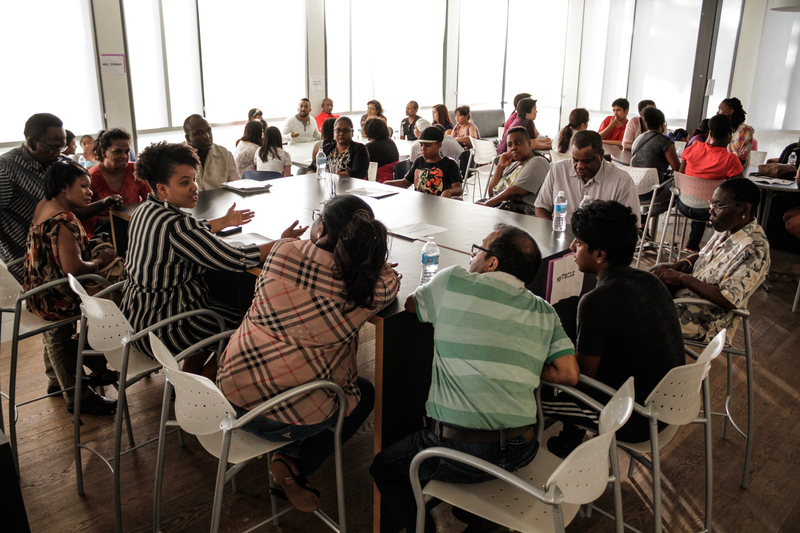 Through Civic Action, H and M and SBL were able to partner and work together to provide over thirty youth in the Jane and Finch community with employment. In addition, H and M has exposed our youth to group interviews and provided individualized feedback to each participants on their strengths and weaknesses! 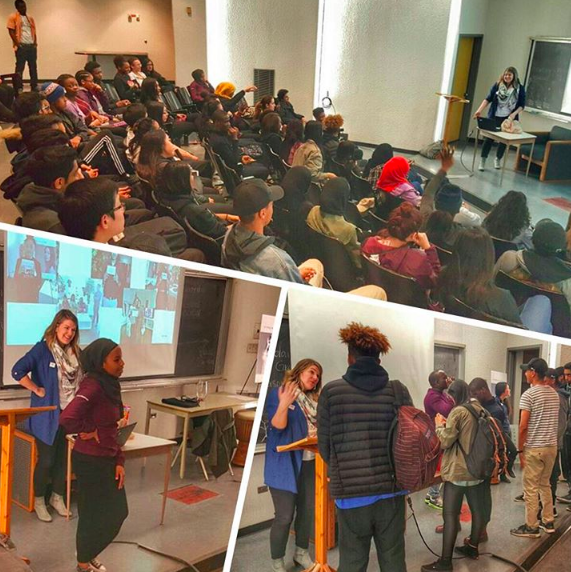 The collaboration between H and M and SBL has allowed youth in Jane and Finch to learn more about retail and fashion as a possible career choice, to develop their communication and team work skills, and most of all their confidence! H and M has been accommodating and supportive of providing our youth with flexible and realistic work shifts in order for them to balance their academic studies and be successful in high school. 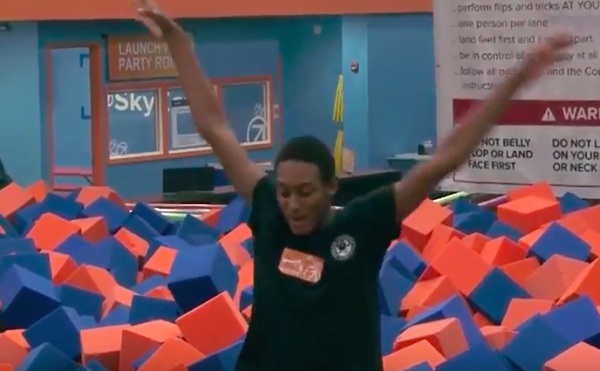 Malik Mude, who is a current H and M employee and SBL participant and volunteer has said that “SBL’s collaboration with H and M has allowed me to get my first job which has helped me gain a lot of communication skills with people. I’ve also gained great work ethic and problem solving skills that I can use in my everyday life”. The partnership between H and M and SBL has been powerful and has allowed youth in our community to strive and receive for some their first employment experience. Every year Torontonians from across the city converge for one event, 9th annual Vital Toronto – a time to reflect on the state of the city we all love. Hosted by Matt Galloway the ceremony celebrates the dedication, accomplishments, and vision of philanthropist, community leaders and organizations with the hopes of ameliorating the quality of life of residents in a city we call home. 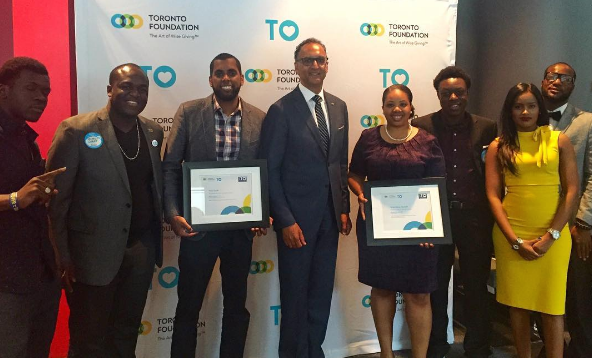 SBL was fortunate enough to attend as recipients of the 2016 Vital Youth Award and Vital Idea Awards. On May 6, SBL packed the Jays Care Community Clubhouse with SBL mentors, staff, and teachers. Our students and staff had the opportunity to enjoy the game, have a meal while engaging with various event staff members learning about their work and what it takes to put on such a memorable event! 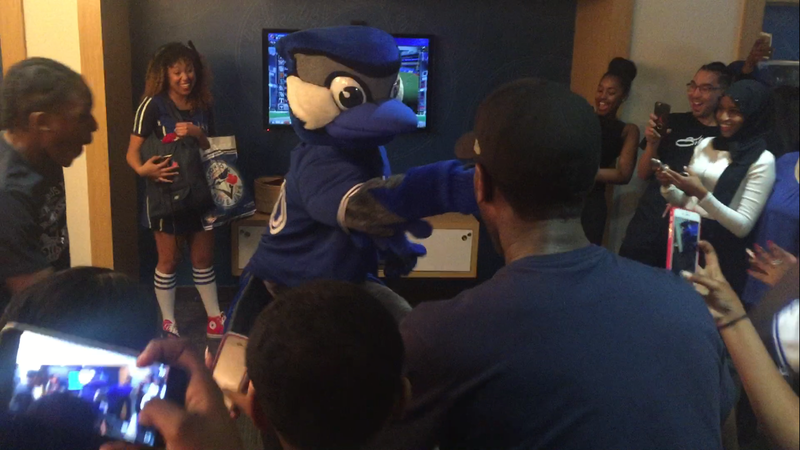 During the game, we got a visit from the Jays mascot taking a group photo while being featured on the Jumbotron. We also had a short lived dance off with Ace! Check out the video on our Instagram! Final score 5-2, Jays win! We want to extend a thank you to the Jays Care Foundation for their continued support.